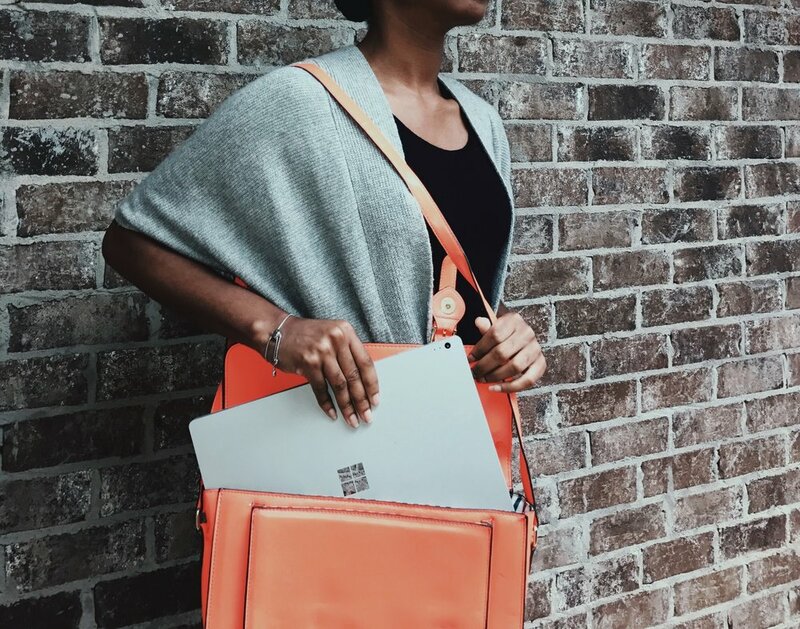 what do you carry your laptop in? What do I carry my laptop in? A purse. Well.....I have a laptop case, but it did not come with a strap. It has a tiny handle that is very inconvenient for me. So I just use that one only when needed. Right now, I'm using this old purse I found (I think its my Mom's to be honest) to carry it in. It's big enough, stylish, and neon. And it has a long strap! Any recommendations for a laptop bag? Send me an email. A little background about this purse. I randomly just found it in my closet as I was sorting through some old clothes. Saw it, and thought, "Ooo! I could carry my laptop in this!" Then I took a took picture, now I'm typing this blog. Moral of the story, make use with what you have! I'm discovering that I'm very resourceful....making something out of nothing.